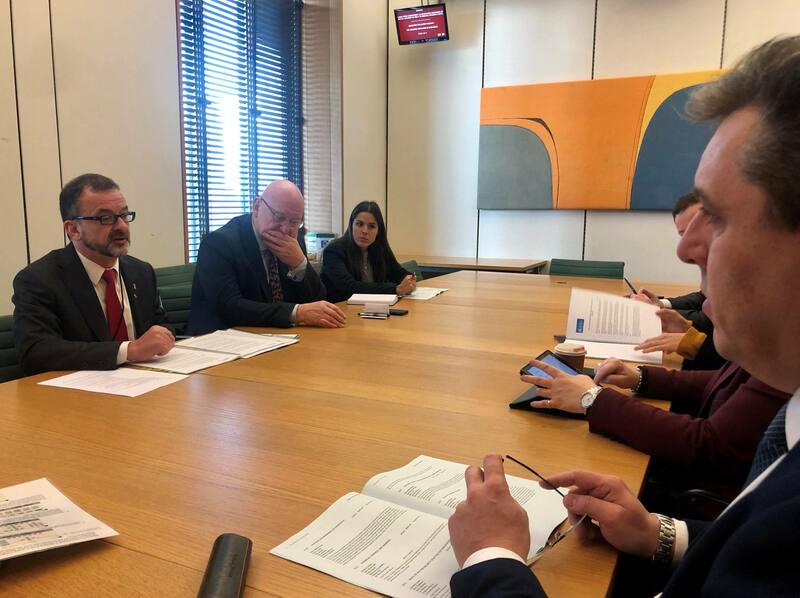 In London this morning, Alfred Bosch, the Catalan Minister for Foreign Action, Institutional Relations and Transparency, met with British MPs Hywel Williams (Plaid Cymru) and Andrew Rosindell (Conservative Party), the chair and vice chair of the All-Party Parliamentary Group (APPG) on Catalonia, which is made up of British parliamentarians, some of whom were in Catalonia on 1 October 2017 to observe the referendum. 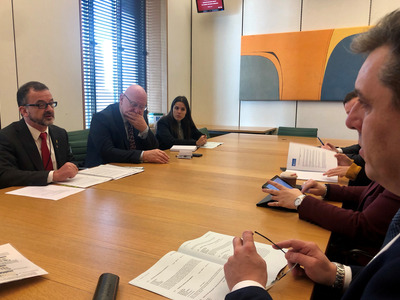 The chair of the APPG, Hywel Williams, said that for the APPG, pretrial detention for so many months, particularly in the case of civil society leaders with no political responsibilities, was “unacceptable”. The British MP said they were “surprised and disappointed that the new Spanish government haven’t come out much more clearly in favour of democracy and human rights”. Williams concluded that when the APPG takes a close look at the trial, it seems that it is completely political rather than criminal. This afternoon, Minister Bosch will attend the opening of Catalonia House, which will be a meeting point for Catalans living in the UK capital. The minister will talk to the media shortly before the opening. Later, Bosch will participate in a conference on the political and judicial future of the independence movement at the London School of Economics, together with Clara Ponsatí, former Catalan Minister of Education and lecturer in Economics at the University of Saint Andrews; her lawyer and the rector of the University of Glasgow, Aamer Anwar; and the director of the European Council on Foreign Relations in Madrid, José Ignacio Torreblanca.